Dr. Hector R. Perez joins Peter Reitzes to discuss being a medical doctor and researcher who stutters. Dr. Perez is asked about facing stuttering in medical school and his research looking at the healthcare experiences of people who stutter. 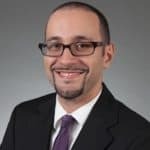 Hector R. Perez, MD, MS is a primary care doctor as well as a clinical researcher at the Albert Einstein College of Medicine in the Bronx, NY. Dr. Perez worked with the National Stuttering Association to conduct research about the healthcare experiences of persons who stutter, which was published in the November 2015 issue of the Journal of General Internal Medicine. He is a member of the NSA chapter in Manhattan, NY.